How long until I am recovered? Kerri, I know that everyone is different and no one can know for sure IF I will totally recover. But, I just want to know your educated guess. I fully understand that it is just a guess but I just want to know what you think. I promise I wont hold you to it!! I know what you said in the book about most of us being unhealthy and predisposed to getting side effects from levaquin. And I agree. I think I was obviously deficient in magnesium. I was prescribed levaquin by a "friend" after zithromax did not work. Turns out my kids had strep and I must have too. You probably know that strep is becoming resistant to zithromax. So, he prescribed me L without seeing me or doing a throat culture. I am not blaming him outwardly for this (though sometimes I admit I am mad about it) but I recognize my fault in this by not going to the doctor as I should have to get a proper diagnosis. My fault. In sum, I am a 40-year old working mom of 2 small children and unfortunately took my 7th dose (500 mg 1X per day) on April 16th, 2011. I suffered some unbelievable side effects including tendon and joint pain (along with flu-like symptoms and insanity). However, I was lucky enough that I found online your ebook 5 days later on April 21st, raced to the store, downed my first dose of magnesium in the parking lot and slathered on the magnesium oil. Big improvement that SAME day. I have been doing all of what Part 1 said to do ever since April 22nd (mag 200 mg 4 X per day; vitamin E, C, New Chapter multivitamin - has good amount vitamin D (tho I plan to switch to another multi when done), fish oil, zyflamend, turmericforce, milk thistle,and COQ10). I am 5'5" and weigh 110. Before this I was an active person; exercising and yoga. What is a reasonable time frame to expect a recovery? My muscles and joints in legs are weak and sometimes tight (at which point, I apply more oil) This is my primary concern. I am trying to be patient but it is hard. Again, many thanks for your great e-book. Comments for How long until I am recovered? Didn't You JUST get the book this week? Didn't you JUST get the book this week?? If you are getting impatient already, you need to change your focus a bit. Since you JUST experienced damage within the last couple of weeks, you may have a better chance to turn things around quicker, but by 'quicker', we're talking a couple of months to 6 months. I don't expect to see but superficial results (meaning pain goes away temporarily) for at least 4 to 6 weeks and, in fact, when someone is depleted of magnesium, Dr. Carolyn Dean the author of The Magnesium Miracle, states that it'll take about 2 months just to replenish tissue stores of magnesium! So, take a DEEP breath and relax into your new lifestyle because you need to fix problems that have either been going on for a very long time due to poor eating, long time build up of toxic substances in the body, or you are having to overcome and/or reverse genetic predispositions to having an inability to detoxify substances and/or having damaging detoxification pathways. These are not problems that get fixed overnight and if one of the reasons that you became damaged was because of magnesium depletion from stress and adrenal gland fatigue, JUST getting your adrenals back into shape can take 6 months to a year depending upon how badly exhausted they are. Remember, if you don't fix these underlying problems, then you are going to be susceptible to problems the rest of your life. This is a LONG term fix and not a short term 'take a pill and get rid of the problem'. Settle in and enjoy your new lifestyle. I understand that I am impatient. I think I even said so myself. I understand that I cannot take a pill to get better overnight. I rarely take medicine at all and routinely take vitamins, eat healthy, and exercise. Forgive me but I was only asking for an estimated time frame in which to expect healing. Further, I really do not understand what you mean about my new lifestyle. What has changed is that I take more vitamins more often, am learning to make bone broth, and walk more slowly. What else should be included my new lifestyle? My comment was in response to YOU stating that you were impatient. I said, "if you are getting impatient already" BECAUSE you said that you were impatient already in less than a week. That's all that comment meant. So, when I say 'new lifestyle' if you don't have a new lifestyle, then I'm wondering if you are following the instructions in the book. Are you gluten free now? Are you completely avoiding 100% of 'vegetable oils' and trans fats? Have you eliminated ALL packaged and processed foods? 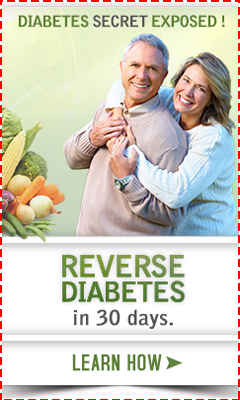 Have you completely eliminated sugars and artificial sweeteners? Are you eating only pasture raised organic animal products? Have you ditched regular dairy for only raw milk dairy products? 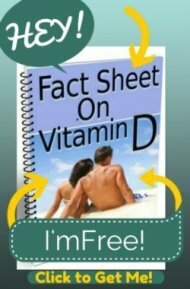 Have you had a vitamin d level and are tracking your vitamin d amount and levels? Those are all of the things that I outline in the book that I'm referring to as a 'new lifestyle'. If you were already doing all of that before, then little will be different for you. Otherwise, most people would consider that a very different lifestyle than previously. "The greatest improvements in clinical parameters of arthritis and the most impressive reductions in eicosanoid and cytokine biosynthesis were found in AIDS patients given fish oil during months 6?8 of the study, indicating that fish oil efficacy is enhanced with lower AA stores. This time-dependent effect most probably results from the fact that EPA accumulates only slowly in membrane phospholipids, due to the higher oxidation rate that EPA shares with all n-3 fatty acids [take your antioxidants] than with n-6 fatty acids.? In other words, it takes 6 to 8 MONTHS to even just get the full benefit of taking 3 Grams of Omega 3 fatty acids every day because it will take that long for the lipid membranes in your cells to be completely replaced with Omega 3's.